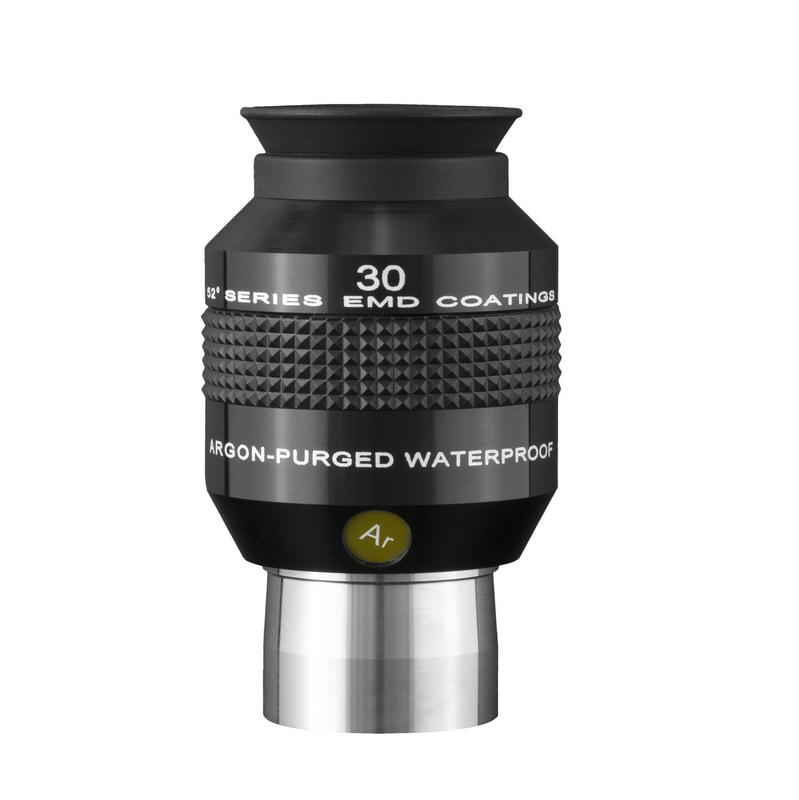 Explore Scientific 1.25" 52° 30mm Argon-Purged Waterproof Eyepiece # EPWP5230-01. Explore Scientific Waterproof Eyepieces - Comfort, Quality, Value. 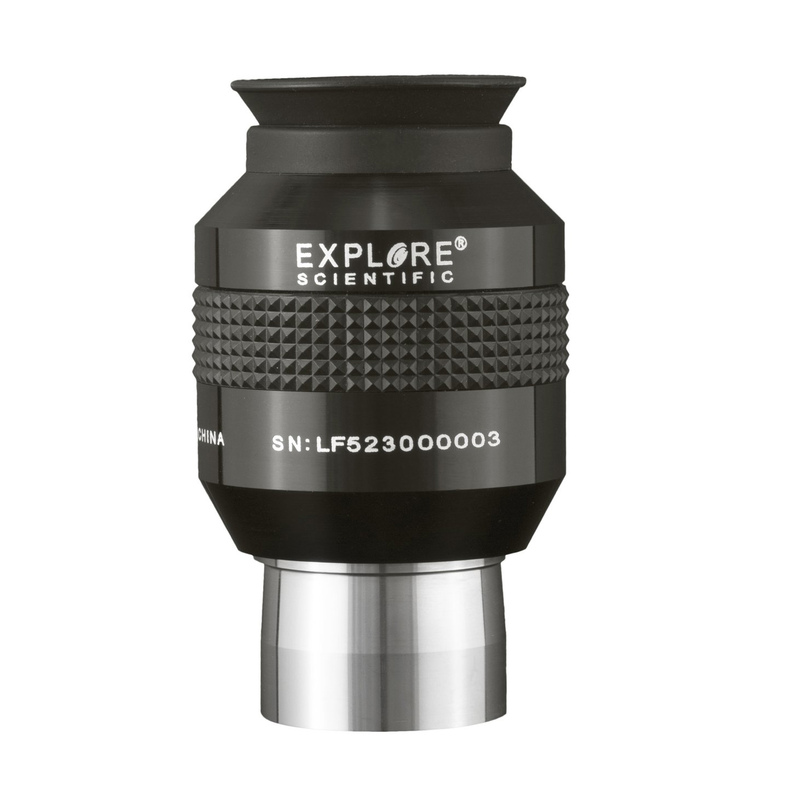 The Explore Scientific 52° Series eyepieces are excellent flat-field multi-element oculars that can transform your visual astronomy experience. With an apparent field of view of 52 degrees, these eyepieces offer incredible value in a very nice eyepiece. Expect exceptional quality and value versus a comparably priced Plossl. Another great benefit of these eyepieces is the excellent contrast and ease with which you can view through these eyepieces. EMD Coatings; 1.25"; 19.9mm of eye relief.